Christoph Wachter began working at his family winery in 2008 when he was just 20 years old. He took over full responsibility in 2010. Since his start, Christoph has received accolades for his wines from the most well-respected wine writers in Austria, Europe and now the United States. Christoph was named 2014 "Newcomer of the Year" by der Feinschmecker, the most important wine magazine in the German language. Christoph has 14 hectares of vineyards in Südburgenland, in the towns of Eisenberg and Deutsch Schützen. Sudburgenland has 500 hectares total and the biggest difference between Burgenland and Sudburgenland is the soil. In Mittelburgenland, the area was under the ancient Pannonian sea and the soil is mostly limestone. In Sudburgenland, the vines grow in primary rock, the most notable terroir is the green schist of the Eisenberg hill. The Eisenberg DAC was extended to include wines from the surrounding villages, including Deutsch-Schutzen. Deutsch-Schutzen has iron rich loam and the Eisenberg hill has green schist with iron. Eisenberg is regarded as one of the finest sites for producing Blaufränkisch in Austria, producing wines of great finesse and focus. Deutsch Schützen's soils, while similar, are denser with a deeper layer of loam, resulting in darker spicier wines with softer tannins. Sudburgenland is cooler than Mittelburgenland and there are rolling hillsides, small mountains really, (called the pre-Alps). The hills are topped with forest and this regulates the temperature, another aspect of the micro-climate of Sudburgenland. Sudburgenland tends to start harvest two weeks after Mittelburgenland. 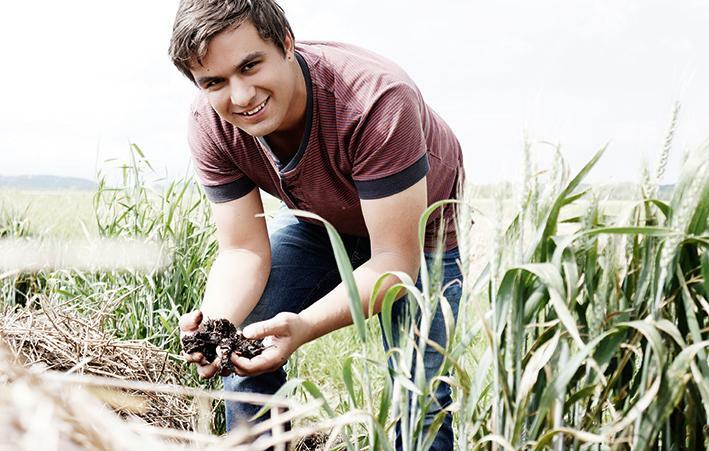 When Christoph started in 2010, he stopped using herbicides and pesticides entirely. Today (2016), Christoph is one of only three producers in Sudburgenland who is farming organically. He allows the weeds to grow in his vineyards, as they attract beneficial insects and eventually return to the soil as nutrients themselves. Rather than add fertilizer, he leaves the vines to extract what they need from the soil itself, thus instilling the wines with minerality and allowing them to express their unique terroir. In the cellar they only employ native yeasts, use upwards of 20-30% whole-cluster, and age in large barrels that allow the wines to mature gracefully without obscuring them with oak flavors. The resulting wines are incredibly elegant, expressive, superlative expressions of Blaufränkisch that should age well, though they are drinking well right now. This is an exciting estate and Christoph Wachter is definitely a winemaker to watch.